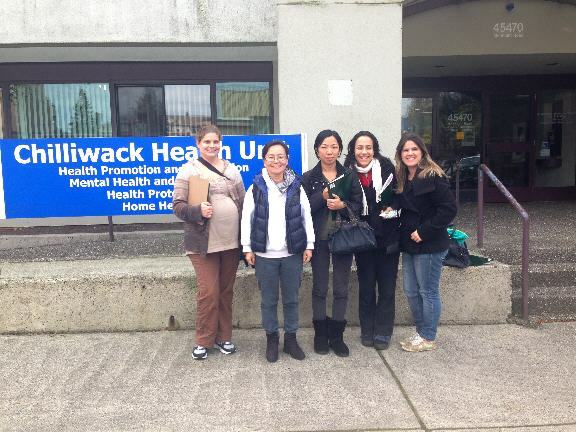 Tara Cummings, Coordinator for the YMCA Newcomer Access to Health project (left) recently toured the Chilliwack Health Unit with a group of newcomers as part of the Chilliwack Welcoming Communities Program. ow more than halfway through an ambitious twelve month Plan of Action, staff with Chilliwack’s Welcoming Communities Program are pleased to see successes building on successes. “We were thrilled to learn that the work of the Welcoming Communities Program was a factor in the City of Chilliwack receiving an Open for Business Award,” enthused April Neave, Community Programs Director with Chilliwack Community Services. The city was one of seven B.C. communities honoured with the B.C. Small Business Roundtable’s Open for Business Awards in September. In recognizing the City, mention was made of the program and its sponsorship of an immigrant business fair earlier this year. The fair garnered a positive response from the community, showcased a variety of products and services that newcomers bring to the community and provided a venue for newcomers and residents to meet one another. • held a YMCA sponsored Newcomer Access to Health dialogue and tour linking immigrant newcomers and local service providers. Ms. Neave is convinced that significant strides are being made towards achieving the vision of the program. “These activities along with the Open for Business Award recognition, improved networking among service providers and the committed efforts of ten local partners are making a difference,” she says. Working closely with community partners, program coordinator Melissa Warren has a number of other initiatives in progress and all will be completed by the end of March 2014. • a wrap up symposium to highlight program outcomes and provide a forum for discussion on next steps. While the Welcoming Communities Program Community Partnership has begun to talk about the future, what will come after March 2014 is not so clear. The provincial government has been funding immigrant services since the early 1990s through federal transfer payments. The federal government, however, is taking back responsibility for funding immigrant services effective April 1, 2014. Chilliwack Community Services has submitted a proposal to deliver immigrant services and will receive word from Citizenship and Immigration Canada in the next few weeks. Included in the proposal is a plan to continue with a community based advisory group that would operate somewhat like the current Community Partnership to ensure effective and coordinated immigrant services in Chilliwack. The Welcoming Communities Program is one of the more than forty programs offered by Chilliwack Community Services and is funded by the Province of BC. 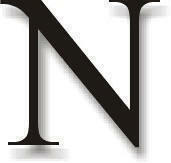 The agency is an independent local charity organization with offices downtown and in Sardis. Since 1928 the agency has provided caring community services to create opportunities with people to make positive change in their lives. For more information contact April Neave here at or Melissa Warren here or call (604) 393 -3251. Chilliwack Community Services is holding a series of workshops and information sessions from October through to February. Download the Welcoming Community Program Guide here.